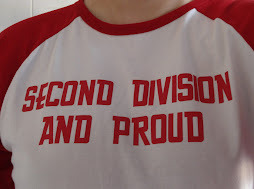 Second Division And Proud: THE BOY IS BACK IN TOWN! With the defeat to surrey nonces fresh in the memory (current) manager (tick tock) pardew will know he needs to get back on track again with a convincing win in front of a large home crowd tomorrow. The tractor boys won't be any kind of a pushover though and SE7's own ole gunner solscar (or whatever) won't be letting any past loyalties get in his way. Shake ups are threatened but ZZ and Todorov (2 players I'd like to see in most staring line ups) probably aren't ready for 90 minutes yet - where's Jonjo? Anyway I'm going for a 3-3 draw and pardew to keep holding on ... for now. PAULO DI COACHIO - Join the revolution!